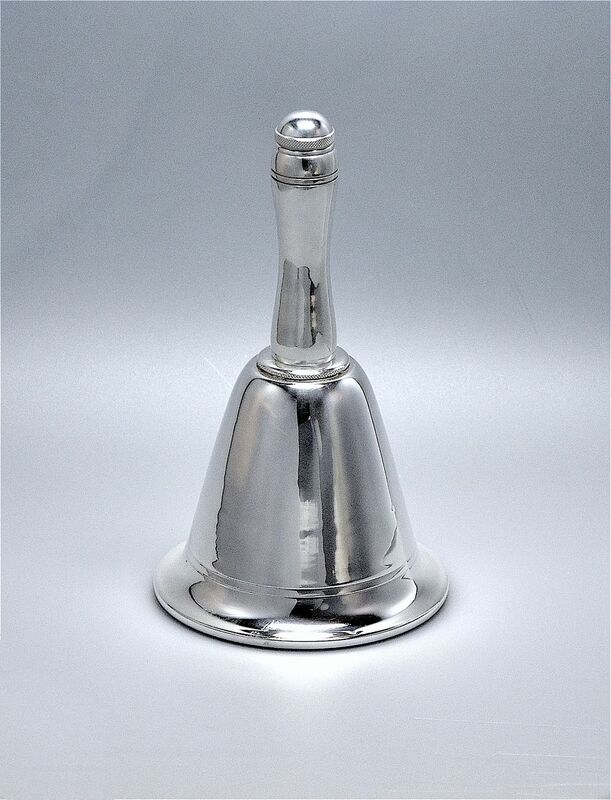 This fantastic Art Deco silver plated cocktail shaker is styled as a school bell. The handle unscrews from the bell base to allow you to pour the alcohol and ice into the base. "Ring" the bell to mix the cocktail, then unscrew the top of the handle to pour out the contents. There is an integral strainer in the base of the handle. Handsome & useful!